You must make reservations at least 5 minutes in advance of the time at Clear Sky Draught Haus. Want to know about us? Well, first of all, welcome to the Clear Sky Draught Haus website. When you come and see us you will certainly understand why we are not your average, every day draft house. We always have a good meal and service at this local gem. Food is fresh and tasty. The prices are a bit steeper on a few items, but worth the splurge on a beautiful Florida sunshiny or occasional rainy day. Weather was perfect, our server was outstanding, went for the bloody Mary bar and I know places scrimp on vodka but geez it was a very small pour. Lobster mac and cheese was very good. Great place to have delicious food and great service! Too many flys flying all around. Always enjoy going there!. Several menu items to choose from. Clear House never disappoints. Everything from their extensive menu is tasty with nightly specials during the week. There is truly something for everyone on their menu from vegetarian to BBQ choices, all served with delicious sides. If you like fried green tomatoes, they are served in a unique and delicious manner with basil pesto, chopped ripe tomatoes, and some blue cheese crumbles--very good! Went here to watch our favorite team play in March Madness. Staff was good about putting the game up where we could see it. Appetizers were good (though only 5) potstickers and fried avocado. Avocado was too breaded and dried out. Salmon salad was very tasty though I asked for the salmon to be medium rare. The pieces were too tiny to get what I wanted. Rib eye was OK as were the shrimp and grits. For so many beers they had too many IPA and not enough pilsners and lagers for out tastes. We were there for lunch on St Patrick's Day and while we had reservations, there was a wait to be seated. The waitress was slow and getting extra napkins or silverware was hard because she disappeared. Food and service were really good. Only issue is that they do not take reservations. “Reservation” through OpenTable is just a “call ahead”. Disappointed that there were couple of parties ahead of us. We will be definitely going back for brunch with friends. We have never had a bad meal, service or overall experience!! Just love this place and highly recommend! Great brunch! Strawberry mimosas were delish. Portions are huge! Can't wait to come back next time we're in town. Good food but funny practices when it comes to transitioning hours- whole table must order breakfast or lunch we were told- had to be the same. Never heard of anything like that before!! Waitress was great, but hostess not so friendly. Had a variety of breakfast foods at our table- all good, but nothing real unique or outstanding. Menu is fairly basic by today’s standards. Again, just good. The food was great,as were the drinks! It is always busy there so using Open Table for a reservation is a great idea! I've been coming here for years and have always loved the good and service, however for this visit I was not so pleased. The menu has been severely downsized, which is somewhat understandable due to the fact that the menu was very large, but alsothe reason I would come here so often, there were always plenty of choices. They did add a prime rib which I was happy to see so I ordered it. 25 minutes later they came out to tell me that they had sold out and forgot to tell me so my friend who ordered the burger was also not happy so he'd have to wait as well so i could order dinner. Eventually I just gave up and ended up having dinner somewhere else later on. They did comp me a drink for my inconvenience but didn't really help my growling stomach. I may go back, but not likely, there are too many restaurant options to choose from in the bay area to go through that again. The food took a very long time to be brought out. The people who had ordered after us received their food before us. The waitress paid very little attention to our table and we sat w no drinks for quite some time. When the food was finally brought out the burgers were Luke warm at best and the fries were cold...the flat bread was barely warm and the bottom was soggy Bc it had been sitting so long. I usually love this restaurant but i won’t be returning anytime in the near future...sad!!! Everything was great as always. The only complain is that we did have a reservation and it took 25 mins to be seated. We really enjoyed our night out at the Clear Sky Draught Haus. The food was excellent - my husband found his wings. My only issue was that we made reservations and the hostesses acted like that meant nothing and told us it would be 15 to 20 minutes. I feel that if you make a reservation, it should be honored at the time it was made for. Good was delicious and our waiter awesome!!! It was great. Service food and ambiance. Love it!! Great brunch. We love the options in the Bloody Mary bar. Service was quick and the food was hot and fresh. Service was very good by everyone. Bartender,hostess and server. Saturday night so very busy and loud.Food was good. Would return when not so busy. It was great. Food and service. Will go back. Service on a busy Sunday with live football on tvs went exceptionally well. Not a sports bar atmosphere , but more casual Florida dining. Husband enjoyed beers. I lived the avocado fries!! 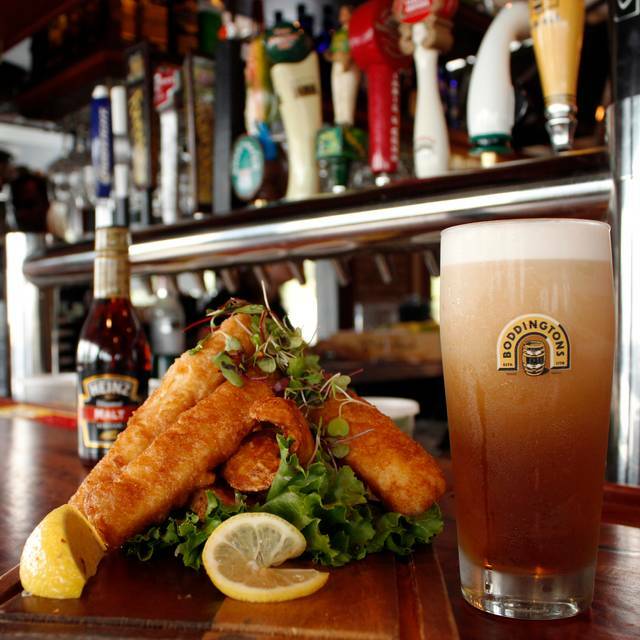 Great beer selections, fantastic sandwiches and service! We went for Brunch and made reservations because they can get busy during snowbird season. Dunedin has become the place to go for a variety of food and drink establishments, this is a shining star among them. The parking lot is small, but there’s parking along Main Street past the Soggy Bottom Brewery next door. Now, we started with a raspberry mimosa and a Tito’s vodka Bloody Mary from the Bloody Mary bar, both went down well and set the tone for football Sunday. Our server, although busy because of the rush, came by many time to check on us! I finally decided on the corned beef hash w/poached eggs, really flavorful and tasty. She had the Swiss bliss omelette with added brisket, very very good! They smoke their own meats and do a great job incorporating it into their menu. 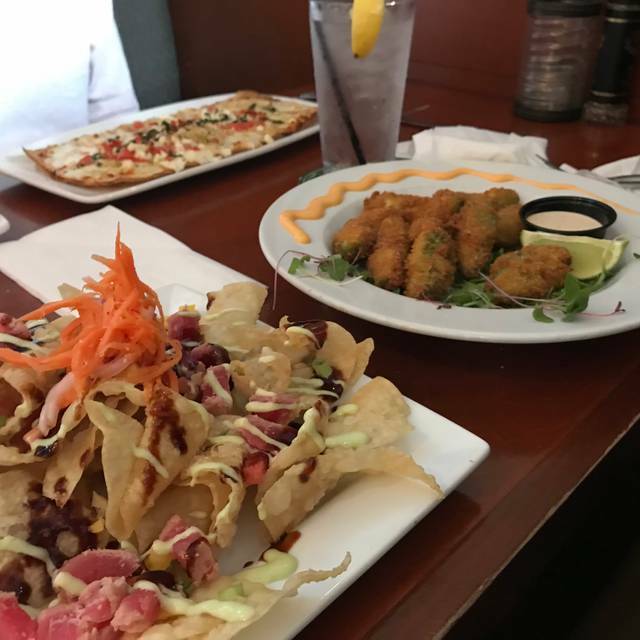 The views are mild being on the edge of Downtown Dunedin, but they have plenty of tvs, live music on occasion and enough to offer to keep you happy you stopped by! Fabulous brunch. Got the square deal breakfast with eggs, sausage, bacon, potatoes, toast and a side of French toast. The French toast was delicious! French bread cut and dipped. Really great food and great service. I highly recommend reservations but most weekends, you can make them the day you are going. Jessica was a superb server, the food was fantastic, and the music was fabulous. Perfect night! Immensely enjoyable...the food was yummy, and Nick, our server, was terrific. Excellent casual meal. Big portions for a good price. Fish tacos and brisket sliders were wonderful. Love this place, chose this to take some out-of-town friends for brunch. If it was just hubby or family and I would have complained about the pretty bad service. Had to ask for water over and over before it was brought. Told server we wanted to do bloody mary bar and she said ok and walked away, never got our vodka order. I asked for an everything bagel, got a plain bagel, she never came back to check. Never got offered refills on coffee. Yes it was busy but....that's not unusual and I've been there when its been busier. Other than that, the usual fantastic food and drink and great atmosphere. I go here often on Sundays using Open Table for reservations. This last Sunday they told me that reservations now only put you at the top of the list, rather than having a table ready for you. I was able to get a table immediately, but didn't care for this change. They have great food and friendly servers, and it is better then a wait without reservations when they are busy (which is often) so I would still recommend - just know that you may still wait with this app.